Friedrich Wilhelm Nietzsche was 19th century German philosopher whose writings reflected ideas of morality, religion, and science. His works were based upon ideas of good and evil and the end of religion in the modern world. His philosophy is mainly referred to as “existentialism”, a famous twentieth century philosophy focusing on man’s existential situation. In his works, Nietzsche questioned the basis of good and evil. He believed that heaven was an unreal place or “the world of ideas”. His ideas of atheism were demonstrated in works such as “God is dead”. He argued that the development of science and emergence of a secular world were leading to the death of Christianity. His philosophy inspired many of his contemporaries, although none of them agreed completely with their true meaning. Nietzsche was born on 15th October 1844 in Röcken bei Lützen, a German village near Leipzig. 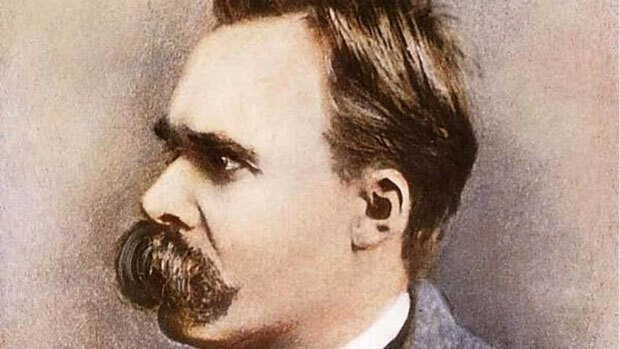 Although born in a Christian family, Nietzsche was essentially an atheist. His father Karl Lugwig Nietzsche died when Nietzsche was five years old, which is why most of his upbringing was done by his mother, Franziska Ludwig. Nietzsche completed his initial education at a preparatory school in Naumburg. He then moved to the prestigious Schulpfrota boarding School. In 1864 after graduating from school, he enrolled in the University of Bonn, for two semesters to study theology and philosophy, after which he transferred to the University of Leipzig. In 1868 during his time at the University of Leipzig, Nietzsche became acquainted with a musician named Richard Wagner. Nietzsche’s inclination towards arts, literature and music attracted him towards Wagner. He was inspired by Wagner’s musical and cultural influence and admired him for his compelling personality. Their friendship soon grew so much that in one of his later works Nietzsche described it as the “greatest achievement” of his life. In 1869 Nietzsche was offered a position in The University of Basel, where he began to teach on the classical teaching faculty, at the age of 24. It was during this period that he published his first book “The birth of tragedy” in 1872. Towards the end of his university career he published his second book “Human all too human” in 1878. Nietzsche resided in Switzerland from 1872 to 1879, during this time he continued his friendship with Wagner, often visiting him in his home. Many believe that Wagner’s anti-sematic ideas greatly influenced Nietzsche. In 1879 Nietzsche’s health started deteriorating and this caused him to resign from his post at the university in June 1879. Between 1880 to 1889 Nietzsche kept moving between various cities of Switzerland, Germany and France. During this time around 1882 Nietzsche fell in love with Lou von Salomė, a philosophy student from Zurich. Their relationship however, failed to develop at a romantic level. In January 1889 in Turin, Italy, Nietzsche underwent a mental breakdown that incapacitated him for the rest of his life. There are different speculations as to what might have been the cause of this breakdown, many maintain that it was due to a condition he inherited from his father, who died due to similar causes. He was briefly hospitalized in 1889 after which his mother brought him to live with her in his childhood home in Naumburg. He lived there for the following seven years of his life. In 1897 after his mother’s death Nietzsche’s sister Elisabeth assumed responsibility for his care and comfort. She also took charge of promoting and preserving his writings. On 25th August 1900, at the age of 56, Nietzsche died. The cause of death was described as a combination of pneumonia and stroke. His body was buried in family graveyard close to his mother and sister’s graves.